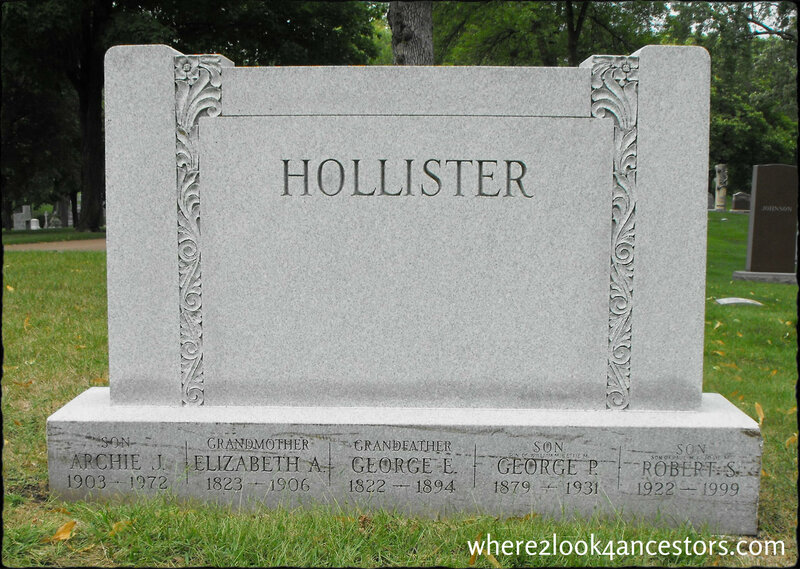 I’ve seen many headstones that provide wonderful clues for anyone researching that particular family tree. 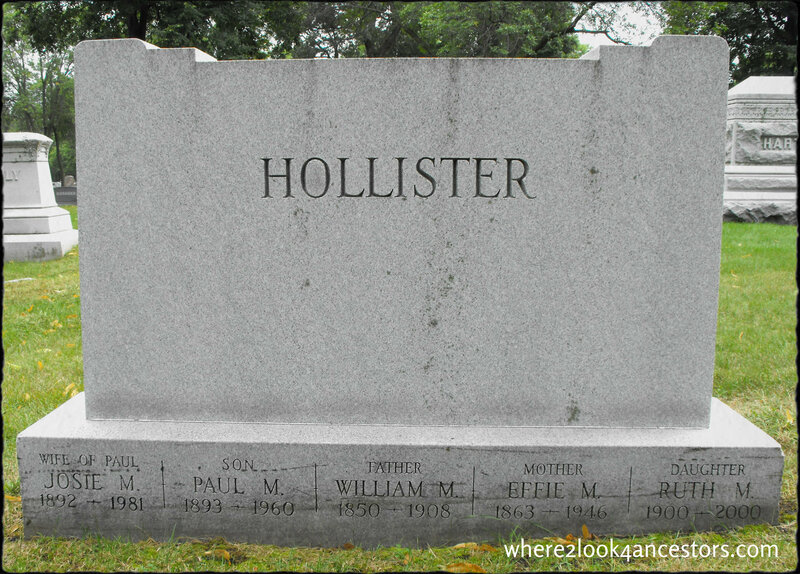 But none quite as wonderful as the Hollister headstone in Lakewood Cemetery in Minneapolis. 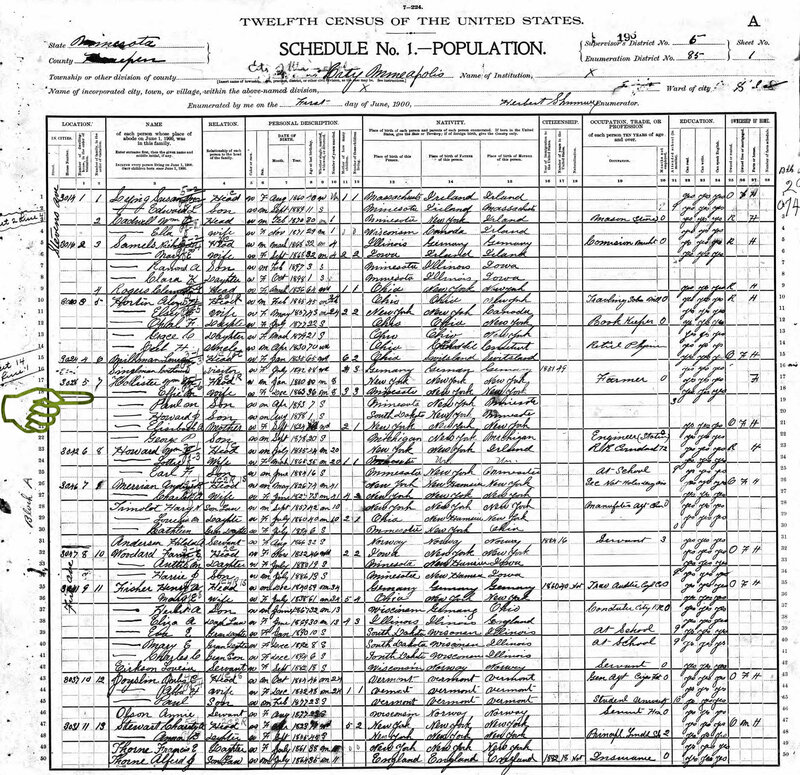 made it easy to find the right Hollisters in the 1900 census on Ancestry.com. I wonder if someone in the family was a genealogist? Wow! Why can’t they be my relatives haha? !